Founded in March 1988 by Scott E. Hintzman, SHELFMASTERS is a family-owned business that has put the finishing touches on the homes of more than two thousand families while serving as a subcontractor to over twenty of Western New York’s home builders. As the only ClosetMaid MasterSuite Authorized Dealer in Upstate New York, SHELFMASTERS has always been dedicated to delivering the highest levels of product quality, craftsmanship and customer attention. 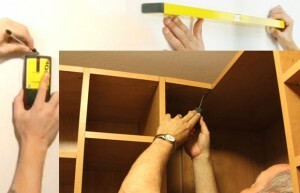 With the 2006 launch of buffaloclosets.com, SHELFMASTERS has expanded its service offering directly to new home and existing home owners by providing an intuitive and informative online experience for those always in search of harmony for their homes. We’re typically available to come back for the installation within one week of your acceptance of the design plan. Most installations are completed within one work day and we always stride to make sure the end justifies your means. 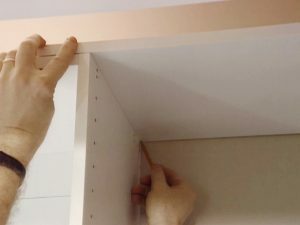 That’s why we offer the ShelfMasters Living Guarantee™ – as long as you live in your home, we’ll come back to make that small adjustment at no charge, with no worries, at anytime.